For the past year, we've been reading about how producers of luxury wines will have to knock down their prices because the economy is suffering. Admit it -- you feel gleeful at the prospect. I know I do. But I had a conversation with Christian Moueix late last year that made me despair over exactly which expensive wines will wind up in the bargain bin. I also learned about Moueix's new winemaking toy, and his favorite New York sushi joint. More on those later. In 2010, you should be able to get single-vineyard New World reds with big taste profiles and 90- to 94-point ratings for half or less of their original asking prices. Why? Because these are like houses in the Phoenix suburbs just before the mortgage bubble burst: desirable, sure, but there's a million of 'em, and the speculators' market has disappeared. But the really famous estates? The true upper crust of the wine world? Dream on. "The U.S. economy is a disaster," said Moueix. "If we didn't have China, we could be in trouble. For the great wines, we have China. For the middle class wines, it is very difficult." Moueix is as well-positioned as anyone to understand the international market for great wines. He runs a company his father founded, Etablissements Jean-Pierre Moueix, which owns 10 top properties in Pomerol and Saint-Emilion. He ran Chateau Petrus for 30 years, but in 2008 he backed off, as his older brother Jean-Francois had inherited the family's most famous property when their father died in 2003. When I spoke with Moueix, Diageo Chateau & Estates (the dominant U.S. importer of top Bordeaux wines) had just announced it was dropping that business. Other--dare I say lesser--Bordelais vintners were talking mostly about the European market; some were interested in Japan. Moueix had a different take. "Pricing pressure is specific to the U.S., I'm sorry to say," Moueix said. "If you saw the prices we get in Hong Kong, you would not believe it. I don't know who drinks it myself. How long it will last, I don't know. "In France, there's a great expression: 'Money has no smell.' " Moueix said. An avid reader, Moueix pointed out the source of the quote -- the Roman Emperor Vespasian, who created the first pay toilets. When Vespasian's son, future Emperor Titus, complained that the tax was disgusting, Vespasian held up a coin to prove it had no aroma. Let's get back to the Chinese market for great wines. What does that mean for the rest of the world in 2010? Chinese consumers tend to be brand-conscious. They're willing to spend more for big names as a guarantee of quality. This means they're more interested in long-established chateaux, and not as much in wines with recent high scores from critics. Moreover, Chinese people are less tolerant of alcohol than the general population. No wonder French wines are more popular among wealthy Chinese than Napa Cabernets. Or maybe, from eating great Chinese food every day, they simply have refined palates? Moueix might know the answer to this -- his wife Cherise is Chinese-American. I had the opportunity to chat with Moueix while tasting barrel samples from the 2008 vintage. I thought the quality was outstanding. Chateau Latour Pomerol was probably my favorite, with beautiful black cherry fruit, gravelly minerality and elegantly rounded tannins. I also quite liked Chateau Belair-Monange Saint-Emilion, which had notes of dark chocolate, coffee and slate that added interest to the cherry and black currant fruit. But 2008 is going to be a very tough Bordeaux vintage to sell anywhere, because expectations are already so high for the 2009s. "The '09 vintage has been the perfect vintage," Moueix said. "They have the structure of the '89s and the roundness of the '90s. I compare it to '47. We will have that kind of extraordinary character. The word for the vintage is fruit. It's unbelievable -- you enter the tank rooms and you smell so much more fruit than I have smelled in years." 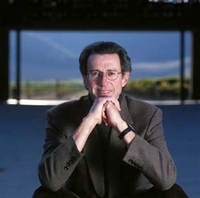 Moreover, a technological advance in '09 will help Moueix (and just 10 other vintners in the world, though there will be many more in 2010) with his constant pursuit of concentrated fruit flavors without high alcohol. A new type of optical sorter eliminates grapes based on whether or not they fit a certain visual profile that can be programmed by the operator. The belt rolls at about 55 mph, which means the grapes can be kept cool and processed quickly while being sorted with almost the same precision as an experienced manual double-sorting line. Moueix said he bought the very first machine on sale, no doubt a coup for the seller in marketing it to others. He already has one in France and one at his Napa Valley winery, Dominus. The obvious use of this device is to eliminate damaged or under-ripe grapes. But it can be programmed for any visual setting, and Moueix is using his to also eliminate the tiniest, raisin-like grapes that have the highest potential alcohol. At some wineries, these are the grapes they want -- that's why they leave them hanging on the vines so long. That's also why they don't make Petrus. "I love technical progress when it helps quality, but often it only helps productivity," Moueix said. "I have always been against reverse osmosis (to reduce alcohol)." Moueix is famous for his love of vineyards. He slept in the vineyard at Dominus after buying it, and likes to prune his vines in his spare time. But he draws the line at biodynamics, though his cousin Alain, owner of Chateau Fonroque in Saint-Emilion, is a devotee. "I admire Alain for his dedication, but I will not do it myself," Moueix said. "What happens if I tell you, 'This year there will be no Petrus because we are biodynamic'? But it has influenced us. Clearly we use less chemicals. Does it make better wine is another question." Moueix and his wife visit Dominus six times a year. There is a direct flight from Paris to San Francisco, but they are art lovers (and collectors) and they like to stop off in New York to visit the museums. "The first thing I do when I go to New York is I have sushi on the first night, at Sushi Yasuda on 43rd Street," Moueix said. I asked if he brings a bottle of one of his Pomerols with him. He laughed. "It is possible to drink great wines with sushi, but we have other meals in New York too."